EKATERINBURG, July 11. 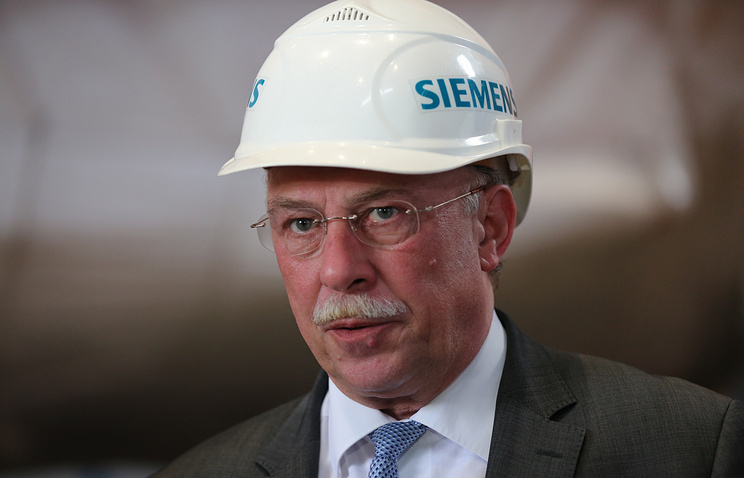 /TASS/.Stricter operating conditions for Germany’s Siemens in Russia introduced after the uproar over the supply of gas turbines to Crimea have not seriously affected the revenues of the company in the Russian segment, President of Siemens Russia and Central Asia Dietrich Moeller told TASS in an interview on Wednesday. "I would not say that this [effect on revenues in Russia due to tougher operating conditions - TASS] is noticeable. We do not actually have any problems with private clients. Certainly, matters of sanctions and matters of localization are playing a continuously greater role regarding state clients. However, we continue investing in Russia," the top manager said. Siemens has recently reached contracts for constructing a power plant in Nizhnekamsk with TAIF and completed delivery of two gas turbine equipment packages to the Groznyy Thermal Power Plant, Moeller said. The European Union extended sanctions against Russia on August 4 due to the supply of Siemens turbines for thermal power plants to Crimea. The delivery became the grounds for a legal battle. "It is obvious that we monitor contracts more closely in respect of ultimate use of the equipment after the stated events. However, I would like to note again that many events occurred in Siemens’ history in Russia over the last 165 years. I hope this story with turbines will not interfere with our business," he added.